John "Papa Johnny" Torrio, also known as "The Fox" and as "The Immune", was an Italian-American mobster who helped build the criminal empire known as the Chicago Outfit in the 1920s that was later inherited by his protege, Al Capone. He also put forth the idea of the National Crime Syndicate in the 1930s and later became an unofficial adviser to the Genovese crime family. The U.S. Treasury official Elmer Irey considered him "the biggest gangster in America" and wrote as follows: "He was the smartest and, I dare say, the best of all the hoodlums. 'Best' referring to talent, not morals". 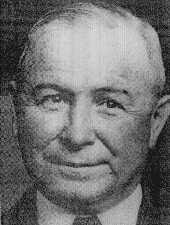 Virgil W. Peterson of the Chicago Crime Commission stated that his "talents as an organizational genius were widely respected by the major gang bosses in the New York City area".